The Belleza Developer Dummy can be easily converted with the Avastar Conversion tool. Below you find a brief tutorial. For other development kits the procedure might be similar. 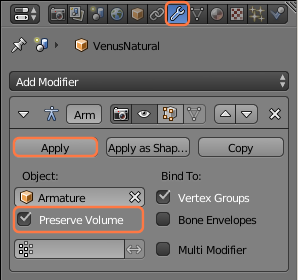 Note: For older Blender release not all options might be available. But don’t worry, that is fine. 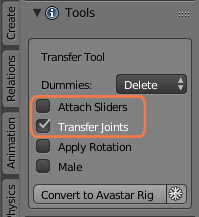 Take care that Transfer Joints is enabled! 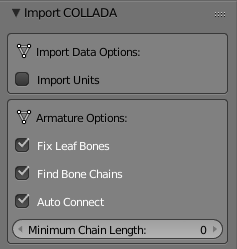 After a short while a new Avastar Armature appears and the Belleza Mesh gets attached to it. 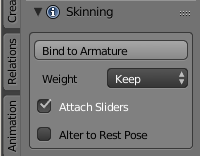 Note: The armature is rotated by 90 degree. This is on purpose! And you may now want to set the 3D View to Front View. 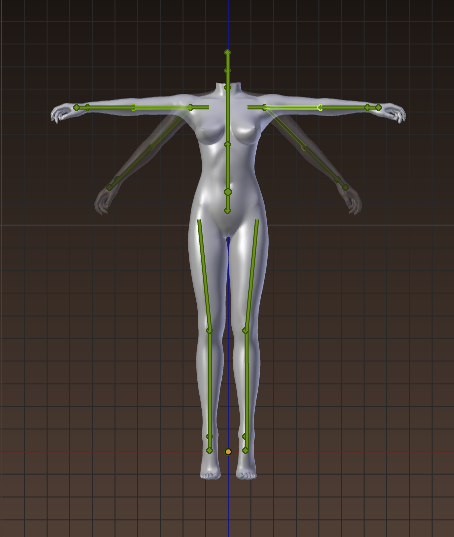 Now you have converted the Belleza Mesh into a T posed Mesh. 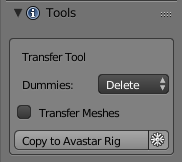 You can delete the Armature as we do not need it any longer. 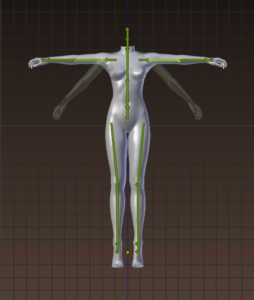 We must only keep the T posed Mesh for now. 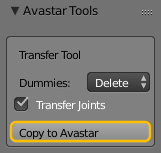 Note: In principle you could even reuse the Avastar Armature for the next step. But lets make things in the most clean way first. 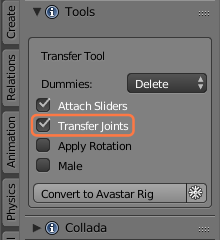 You can later experiment on your own to improve this workflow.